Judyth Vary was once a promising science student who dreamed of finding a cure for cancer; this exposé is her account of how she strayed from a path of mainstream scholarship at the University of Florida to a life of espionage in New Orleans with Lee Harvey Oswald. Gaeton Fonzi's masterful retelling of his work investigating the Kennedy assassination for two Congressional committees is required listening for students of the assassination and the subsequent failure of the government to solve the crime. 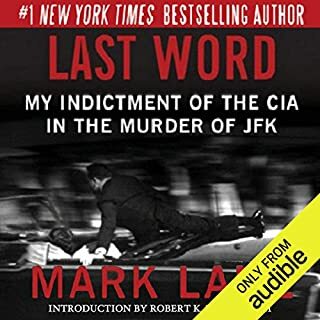 The Last Investigation is a compelling postmortem on the House Select Committee on Assassinations as well as a riveting account of Fonzi's pursuit of leads indicating involvement by officers of the Central Intelligence Agency. Jim Garrison’s classic account of his investigation and prosecution of the murder of JFK. Almost 50 years after the assassination of President John F. Kennedy, his murder continues to haunt the American psyche and stands as a turning point in our nation’s history. The Warren Commission rushed out its report in 1964, but questions continue to linger: Was there a conspiracy? Was there a coup at the highest levels of government? On March 1, 1967, New Orleans district attorney Jim Garrison shocked the world by arresting local businessman Clay Shaw for conspiracy to murder the president. His alleged co-conspirator, David Ferrie, had been found dead a few days before. Garrison charged that elements of the United States government, in particular the CIA, were behind the crime. From the beginning, his probe was virulently attacked in the media and violently denounced from Washington. His office was infiltrated and sabotaged, and witnesses disappeared and died strangely. Eventually, Shaw was acquitted after the briefest of jury deliberation and the only prosecution ever brought for the murder of President Kennedy was over. 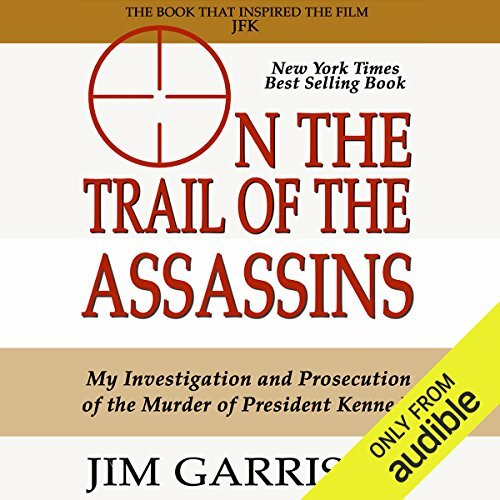 Returning to audiences for the first time in years, On the Trail of the Assassins - the primary source material for Oliver Stone’s hit film JFK - is Garrison’s own account of his investigations into the background of Lee Harvey Oswald and the assassination of President Kennedy, and his prosecution of Clay Shaw in the trial that followed. ©2012 The Estate of Jim Garrison (P)2013 Audible, Inc. This book contains so much more than I ever imagined and is deserving of the highest accolades. What made the experience of listening to On the Trail of the Assassins the most enjoyable? 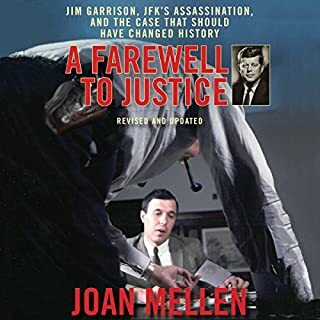 Jim Garrison's tale of being the only person to ever bring someone to trail for the murder of President John F. Kennedy is as fascinating as it is important. Mr. Garrison presents his story in a manner that should fascinate anyone regardless of their interest in the case prior to reading this book. The way in which he (the DA of New Orleans) stumbles into the case and how the facts unfold before him and his office is gripping. In my opinion Jim Garrison is a true America hero. What other book might you compare On the Trail of the Assassins to and why? There are a great many excellent books on the JFK assassination. And while this is not the best, it is one of the most important. I would also recommend "JFK and the Unspeakable", "Destiny Betrayed" and "They Killed our President". For pro-lone gunman versions try "Case Closed" and "Parkland" although I feel both have been sufficiently discredited (see "Reclaiming Parkland" for one). But any sane person should hear both sides. I believe all of these have audio books.If you are looking for an objective overview of the facts of the case, I strongly recommend "22 November 1963: A Brief Guide to the JFK Assassination" (no audio book I'm afraid). Or if you want an obsessively detailed version try "Master Chronology of JFK Assassination". But reading that is like a full time job! Also no audio book. What does Mark Kincaid bring to the story that you wouldn’t experience if you just read the book? His performance is commanding and kept me invested and interested. There are some lines that have been rerecorded and do not sound the same. It is very distracting. It is too long for a single sitting. Unfortunately Mr. Garrison wrote this book 25 years after the assassination and it does appear that his memory of some events is a little faulty. The two that stood out to me were his inaccurate description of the motorcade route being printed four fifths of the front page of the Dallas Morning News (it was more like one 8th), and his description of Johnny Carson's attempt to prevent him from showing pictures on his show which he described as Johnny physically stopping him whereas Johnny actually stands them up for the camera but states that they won't show up and the camera never tries to zoom in on them.While based on these two I am sure there are more inaccuracies, but these I can prove. However since they are both so easily looked up and neither could be considered lynch pins of his case, I think we can conclude they are mistaken memories rather than intentions to mislead. If he was lying to strengthen his case then he chose very poorly what to lie about.Some people have jumped on these inaccuracies and used them to attempt to discredit the man and his case. However do your own research, almost everything he claims in the book can be investigated and most of it I have been able to corroborate form other documents or witnesses.As with any historical book (not just conspiracy based ones) I am obsessive in looking up references and corroborating what the author claims. It is very common to find some inaccuracies. In fact it is the norm.Many of the witnesses discussed have since been interviewed on video in several documentaries (for example "The Men Who Killed Kennedy"), and obviously any reference to the Warren Commission is easily looked up online.My number one recommendation to anyone interested in the JFK assassination (or anything important historic event for that matter), do your own research. Do not accept anyone else's conclusions, including Garrison's, the Warren Commission or especially any conspiracy website where it is apparent they approach the evidence with a conclusion first (like the Warren Commission). Wild speculation may be interesting, but do the facts support it? That is what matters. With that in mind, I firmly believe an objective investigation of the facts supports two decisive conclusions. There was a conspiracy and there was a cover up. I own this book in both Kindle and Audio versions, in order to internalize its rich and revealing material. Garrison was a highly intelligent, skillful, persistent, and committed seeker of truth and justice. He was aggressively bullied and attacked for his opposition to the official account of JFK’s assassination, by our negligent and largely inept news media, various governmental agencies, political opponents, and others too numerous to name. Although he is cited as having “lost” his case against Clay Shaw, Clay Shaw was acknowledged later to have indeed been working for the CIA by Richard Helms. His alias “Clay Bertrand” was indeed written on his arrest documentation, but the judge didn’t allow this to be viewed in court, nor the testimony of the booking officer, perhaps because this would be considered classified. President Kennedy was assassinated because he was going against Cold War policy and the agendas of the Joint Chiefs, the CIA (Kennedy had fired Allen Dulles and Charles Cabell), the anti-Castro Cubans, the Texas oilmen (Kennedy would propose ending the oil depletion allowance), the MIC (as Kennedy would seek to withdraw from Vietnam), the FBI (Kennedy was going to fire J. Edgar Hoover), the Mafia (who wanted Castro ousted in order to resume their profitable casinos that Castro had closed), and portions of the Dallas Police. Interestingly, Mayor of Dallas Earle Cabell, was the brother of Charles Cabell of the CIA, who I’ve already mentioned Kennedy had fired. Oswald did not kill Kennedy nor Officer J. D. Tippit. Several medical personnel at Parkland clearly stated that Kennedy had indeed been shot (also) “from the front.” The limousine was cleaned by Secret Service agents while at Parkland, the clothing of victims professionally cleaned, the windshield replaced, and its interior rebuilt- by orders of LBJ. Many of the autopsy photos are indeed fabricated. The Zapruder film has indeed been doctored, to make the fatal head shot from the right front appear as from having come from behind. Frame sequences have also been altered, and certain frames removed. Prior to the head shot, Greer, the driver of the presidential limo, did indeed stop the car, and photos exist of the break lights being on. Certain frames of the Zapruder film show that as JFK is clutching his throat, Connally has not yet been hit- destroying the “magic bullet theory.” There is more metal in Connally’s wrist than is missing from the “magic bullet” which we’re supposed to believe was found on a stretcher at Parkland Hospital after causing 7 separate entry or exit wounds, although supposedly fired from a lousy Mannlicher- Carcano, which apparently fires at around 2,000 FPS. 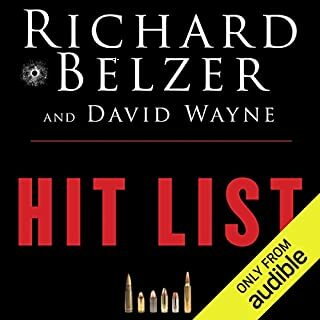 The Warren Commission insisted that only three shots were fired, yet there were actually at least three missed shots- the first one that missed, and sent up a concrete shard which scratched James Tague’s face, the one fired from the ”Grassy Knoll” which struck the grass to the left of the limo, and one which hit the sign after the limo turned from Houston onto Elm. JFK was probably shot four times, and Connally three. Kennedy was shot under the right scapula, to the front of his neck at the “tying knot,” to the right temple, and also the back of the head (most probably). Americans largely do not believe the official story of JFK’s murder. It must be understood that in addition to the works of Posner and Bugliosi, large portions of the cover-up are disguised within the truth movement itself- including books and videos posing as truth seeking, but which divide the movement and take researchers in the wrong directions (i.e. the driver shot him). We have a duty to cite the guilty parties definitively to reestablish trust in our country & its leadership, which we currently do not have. This book sort of made me wonder just what book Mr. Oliver Stone read (the Director of the movie JFK). The movie was at best a cinematic ploy. Garrison though, did amazing work in this expose of his effort to nail Clay Shaw, a CIA operative. That has been proven beyond discussion and Garrison's trial against him would have been won. The performance here is better than most. It's fast passed. Interesting and truly important work in assassination lore. I would not hesitate to recommend this audiobook. Happy listening! This one beats the others cold. This book makes you really think about the world we live in. Netflix has a series done by Oliver Stone which really makes you think. unlike other JFK assassination books this one is written by a man who started the investigation the day after the event. this is a man who was in a position to know as the district attorney of Louisiana at the time. his book reads like a lawyer's brief complete with facts and names and evidence. Undisputed fact that the CIA murdered a president once you understand the facts and the motives. other books only scratch the surface had I started with this one it would have saved a lot of time. awful audio cuts, changes in tone and pich. just about every minute of audio there is a jaring cut and edited rerecord audio. its pretty bad. Not sure what to make of everything. Especially when Garrison tries to defend the racketeering charges against him. But I enjoyed it. 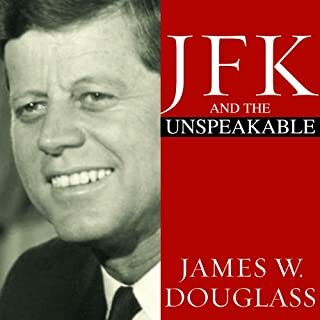 This is the book on which Oliver Stone based his famous movie JFK. 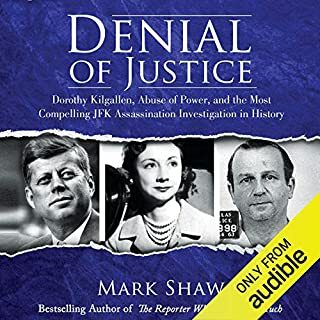 The story of New Orleans District Attorney Jim Garrisons investigation and the subsequent trial of Clay Shaw for conspiracy to murder John F Kennedy is a truly remarkable tale. Mr Garrison took on the entire might of the US security state and media. 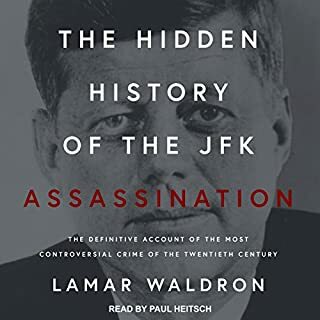 Although he was ultimately unsuccessful in his quest losing at trial the revelations he was able to make along the way (including the subsequent public release of the Zapruder film) have added greatly to the understanding of the JFK assassination. Mr Garrison was a brave and patriotic public servant who put his entire career and reputation on the line in order to do what he thought was right. His investigation was infiltrated, many witnesses were intimidated or died in mysterious circumstances and he was ruthlessly smeared in the media. Mr Garrison is however now having the last laugh as history and subsequent revelations appear to be proving him correct. This is an audio book that tells a truly fascinating story. The true life story of Jim Garrison's noble attempt to publicly expose the sinister, cocktail of powerful dark forces that were really behind the murder of JFK and even the young, Lee Harvey Oswald is not only an inspiring search for the truth story, but it also leaves us wondering deeply, who's really has been ruling in America since Nov 22, 1963, the peoples voted president or the aggressive money power elite, who's praetorian guard is of course, none other than the venomous black spider organization of CIA. which even today withholds or has even destroyed information related to the JFK / Garrison case. It was Jim Garrison along with handful of brave people like Mark Lane who went some considerable way in publicly destroying the whole credibility of the tainted, so called Warron commission report... leaving one to question deeply, did young Oswald even take a shot at the ill fated president or was he, as he said he was, just a Patsy... a preset, fall guy for the darker forces involved in this ugly story?